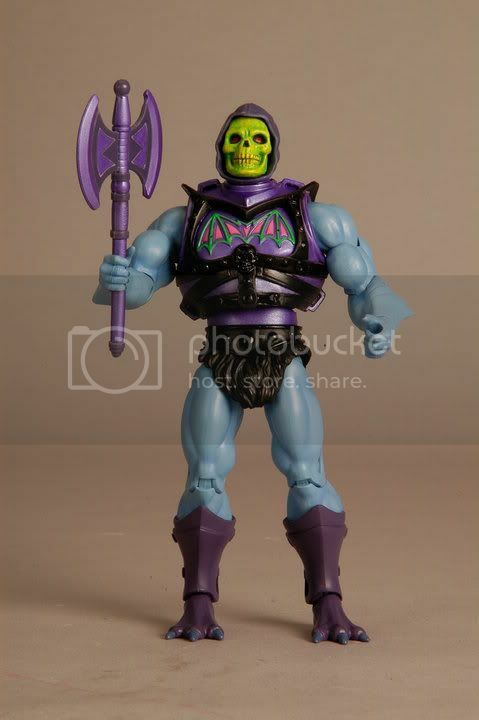 Matty Collector has updated their Facebook page with new pictures of the upcoming MOTU Classics figure Battle Armor Skeletor. 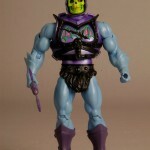 Battle Armor Skeletor is available for sale at MattyCollector.com on February 15th, 2011. 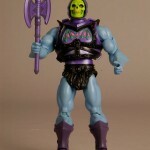 Battle Armor Skeletor goes on sale February 15th, 2011 on Mattycollector.com! I still wish they had kept the tumbler version of this gimmick. And it looks odd to see Bonehead here with an axe instead of a sword or Havoc staff. I like the original design also. 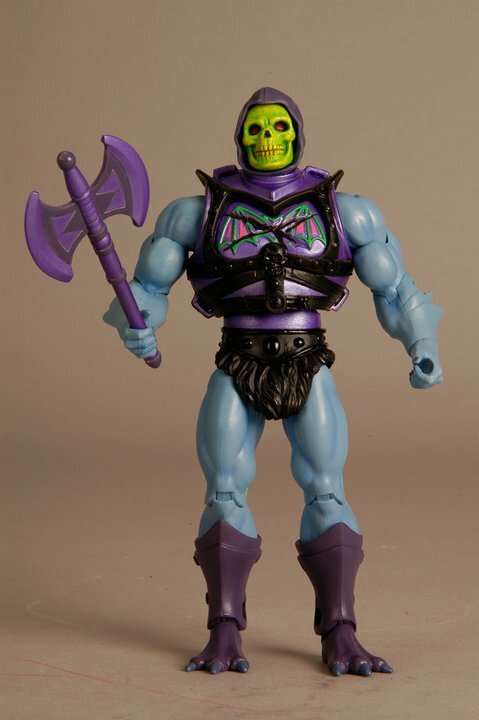 Looks like He-man will have a new Axe, as Bonehead doesn't look right with it. Same here. 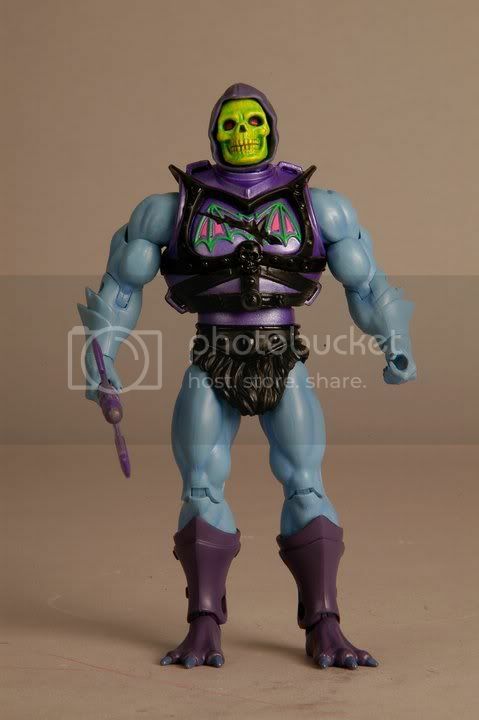 Still don't understand how they couldn't incorporate that gimmick in these. Simple: to incorporate the gimmick would require a new torso, which would be too expensive for Mattel's tastes for a bonus figure. 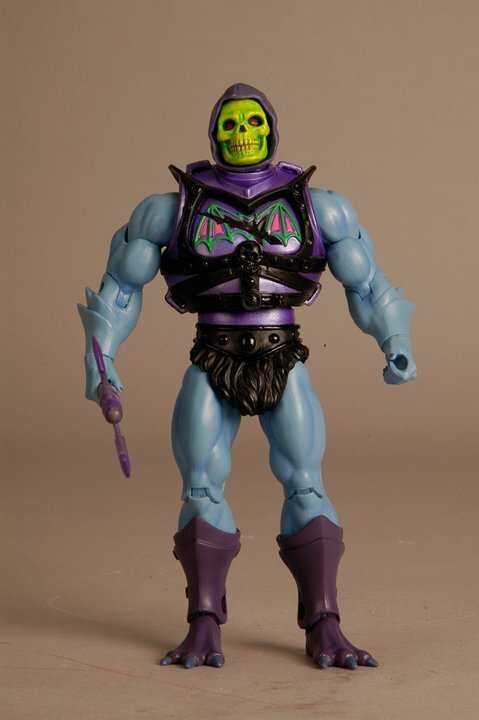 I still find it 10 degrees of hilarious that for the many, MANY, years collectors bemoaned the "action feature" on every damn toy on the market, it's in a "collector toyline" I'm seeing the most requests FOR an action feature. 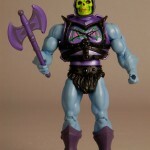 I was on the fence with this one, but like the look of Skeletor better than the battle armor He-Man version.